The Krag-Jørgensen is a repeating bolt action rifle designed by the Norwegians Ole Herman Johannes Krag and Erik Jørgensen in the late 19th century. It was adopted as a standard arm by Denmark, the United States of America and Norway. The design presented both advantages and disadvantages compared with a top-loading "box" magazine. A similar claw type clip would be made for the Krag that allowed the magazine to be loaded all at once, also known as the Krag "Speedloader magazine". Normal loading was one cartridge at a time, and this could be done more easily with a Krag than a rifle with a "box" magazine. In fact, several cartridges can be dumped into the opened magazine of a Krag at once with no need for careful placement, and when shutting the magazine-door the cartridges are forced to line up correctly inside the magazine. The design was also easy to "top off", and unlike most top-loading magazines, the Krag-Jørgensen's magazine could be topped up without opening the rifle's bolt. The relative complexity of manufacturing this magazine has been suggested as a reason why many countries did not adopt the Krag-Jørgensen. For others, the magazine's features likely aided adoption. The Krag was not used on a wide scale and doesn't show up in photos. BUT Sid Hatfield purchased 10,000 rounds of 30.40 Krag ammo for sale at his store in Matewan after the massacre, so some miners had them. At the time of the battle, they were just starting to show up on the civilian market. Odds are more likely that they were used by Chafin's militia more than the miner's themselves. The action that replaced the lever action design is the pump action shotgun design. The first popular ones of this type were the Winchester M1893 and M1897 models, which were designed by John Browning! It must be noted that when Winchester originally asked Browning to design a repeating shotgun in the 1880s, he had argued that a pump-action mechanism shotgun would be the most appropriate design, but Winchester was a lever-action manufacturing company, so they persuaded him to design a lever-action shotgun. However, they did later manufacture his pump-action design as the Winchester model M1893, which was later improved to the model M1897. It must be noted that the M1897 shotgun gained so much popularity that it was used by US soldiers in World War I, where it was found very useful for trench fighting. Its quick shooting speed and the fact that the spread of buckshot could hit multiple enemies at once with minimal aiming, made it a very effective weapon for US soldiers to have. In fact, the German troops feared this weapon greatly and the German High Command even attempted to have it outlawed in combat, by citing Geneva convention laws (this coming from the same people that allowed the use of poison gas!). The pump-action shotgun design is still popular to this day. 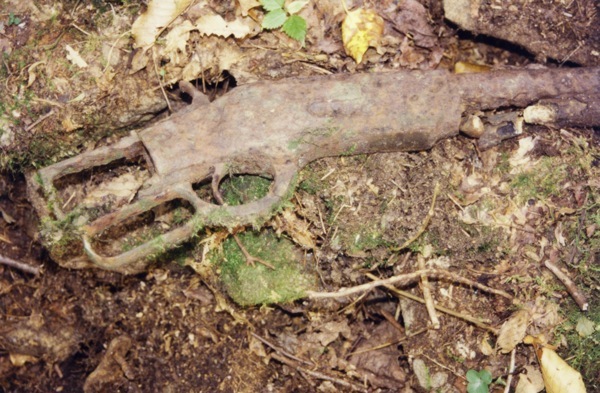 One of several revolvers found in use by the miners at Blair Mountain. The Colt Single Action Army — also known as the Model P, Peacemaker, M1873, Single Action Army, SAA, and Colt 45 — is a single action revolver with a revolving cylinder holding six metallic cartridges. It was designed for the U.S. government service revolver trials of 1872 by Colt’s Patent Firearms Manufacturing Company and was adopted as the standard military service revolver until 1892. 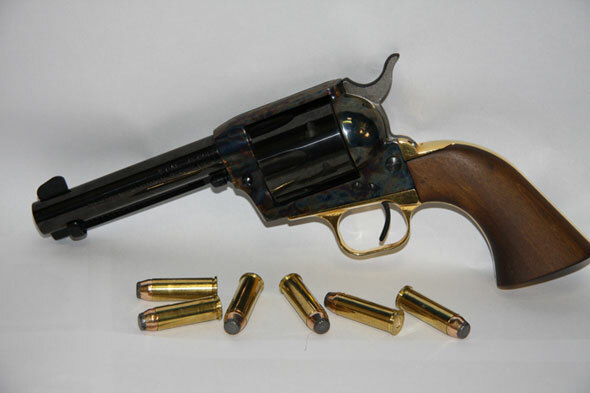 The Colt Single Action Army revolver (along with the 1870 and 1875 Smith and Wesson Model 3 (“Schofield”) revolvers) replaced the Colt 1860 Army Percussion revolver. 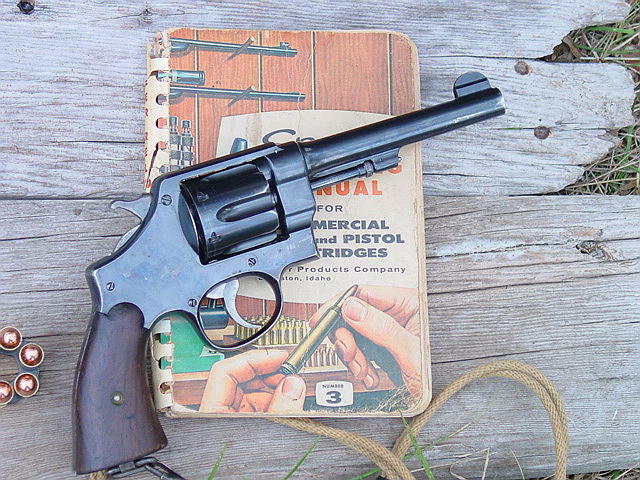 The Colt quickly gained favor over the S&W and remained the primary US military sidearm until 1892 when it was replaced by the .38 Long Colt caliber Colt Model 1892, a double action revolver with swing-out cylinder. By the end of 1874, serial no. 16,000 was reached; 12,500 Colt Single Action Army revolvers chambered for the .45 Colt cartridge had entered service and the remaining revolvers were sold in the civilian market. The Colt Bisley was introduced in 1894 as a target pistol. The most common calibers were .32-20, .38-40, .45 Colt, .44-40, .41 Colt, and the British calibers .450 Eley and .455 Eley. The total number of 44,350 were manufactured. The production of the Bisley was terminated in 1912, but the serial No. 331916 was shipped after the First World War. Most Bisley Standard Model Revolvers which were shipped to a United States address were not used for target shooting but for self-defense because the grip and hammer were ideal for fast shooting. The Trapdoor Springfields were a common surplus weapon found on the civilian market at stores like Sears. Many lead tipped bullets have been found at Blair Mountain suggesting that these sorts of weapons saw usage in the ranks of the miners. The Model 1873 “Trapdoor” Springfield was the first standard-issued breech-loading rifle adopted by the United States Army (although the Model 1866 trapdoor had seen limited issue to troops along the Bozeman Trail in 1867). The gun, in both full-length and carbine versions, was widely used in the Black Hills War and in subsequent battles against the American Indians. The rifle was originally issued with a copper cartridge and used in the American West during the second half of the 19th century, but the soldiers soon discovered that the copper expanded excessively in the breech upon firing. This sometimes jammed the rifle by preventing extraction of the fired cartridge case. A jam required manual extraction with a knife blade or similar tool, and could render the carbine version of the weapon, which had no ramrod to remove stuck cases, useless in combat except as a club or bayonet. After the annihilation of Lieutenant Colonel George Armstrong Custer’s battalion at the Battle of the Little Bighorn in June 1876, investigations revealed that jamming of their carbines may have played a factor. The cartridge was subsequently redesigned with a brass case, since that material did not expand as much as copper. This proved to be a major improvement, and brass became the primary material used in United States military cartridges from then to the present. The Model 1884 incorporated a significant number of improvements that had been made between 1878 and 1879. It also featured a serrated trigger that had been incorporated into the Springfield rifle design in 1883. The most dramatic change to the rifle design, which is often considered to be the identifying feature of the model 1884, was a new rear sight which had been designed by Lieutenant Colonel R. A. Buffington of the U.S. Army Ordnance Department. This sight however was not perfected until 1885. The principle feature of this new sight was a rack and pinion style windage adjustment. Unlike previous sights, the base was not used for any position other than point blank. The raised leaf had graduations from 200 to 1400 yards. A new barrel band was also designed to accommodate this new sight so that it could lay flat in the point black position. 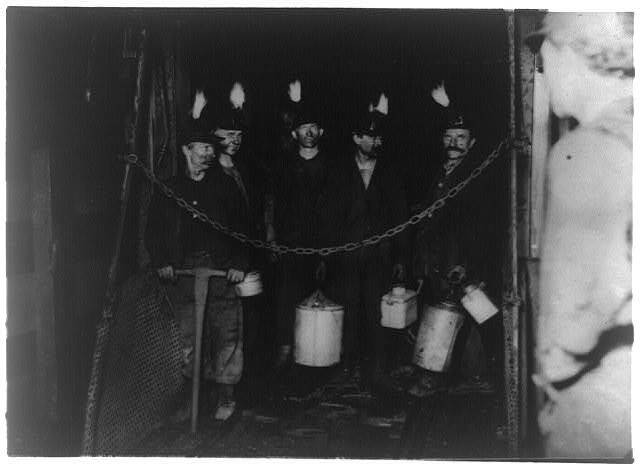 The 1903 Springfield was the preferred weapon of the miners; however, it only saw limited usage by them. It was one of the many small arms used by the Logan defenders on a wide scale and to a limited extent, the guards at mines. The M1903 Springfield, formally the United States Rifle, Caliber .30-06, Model 1903, is an American clip-loaded, 5-shot, bolt-action service rifle used primarily during the first half of the 20th century. It was officially adopted as a United States military bolt-action rifle on June 21, 1905, and saw service in World War I. The basic time line is that work began on creating a rifle that could handle higher loads and adopted some of Mauser’s features, began around the turn of the 20th century by Springfield, with a prototype produced in 1900, and going into production in 1903, thus gaining its nomenclature. 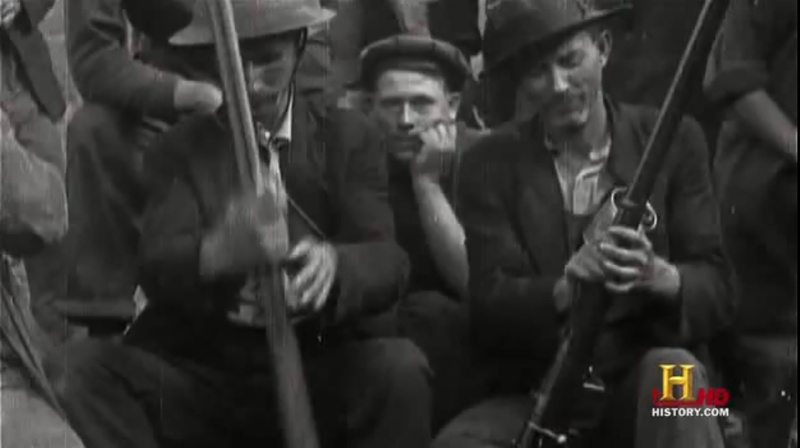 There was actually an interim rifle that almost entered production, the Model 1901. Springfield was sure enough that the Model 1901 would be accepted that they began making some parts, but it was not accepted and further changes were asked for. The design was further modified and accepted, type classified and entering production in 1903. The War Department had exhaustively studied and dissected several examples of the Spanish Mauser Model 93 rifle captured during the Spanish-American War, and applied some features of the U.S. Krag rifle to a bolt and magazine system derived from the Mauser Model 93, to produce the new U.S. Springfield Rifle, the Model 1903. Despite Springfield Armory’s use of a two-piece firing pin and other slight design alterations, the 1903 was in fact a Mauser design, and after that company brought suit, the U.S. government was forced to pay royalties to Mauser Werke. By the time of U.S. entry into World War I, 843,239 of these rifles had been produced at Springfield Armory and Rock Island Arsenal. Pre-war production utilized questionable metallurgy. Some receivers were improperly subjected to excessive temperatures during the forging process. The carbon could be “burnt” out of the steel producing a brittle receiver. Despite documented evidence indicating some early rifles were improperly forged, actual cases of failure were very rare. Towards the end of the war, Springfield turned out the Model 1903 Mark I. The Mark I has a cut on the left hand side of the receiver meant to act as an ejection port for the Pedersen device, a modified sear and cutoff to operate the Pedersen device; a specialized insert that replaced the bolt and allowed the user to fire .30 caliber pistol cartridges semi-automatically from a detachable magazine. The stock was also slightly cut down on the left side to clear the ejection port. In all other respects, the Mark I is identical to the 1903. Temperature control during forging was improved prior to Mark I production. The receiver alloy was toughened by addition of nickel after Mark I production. In common usage, Winchester rifle usually means any of the lever-action rifles manufactured by the Winchester Repeating Arms Company, though the company has also manufactured many rifles of other action types. 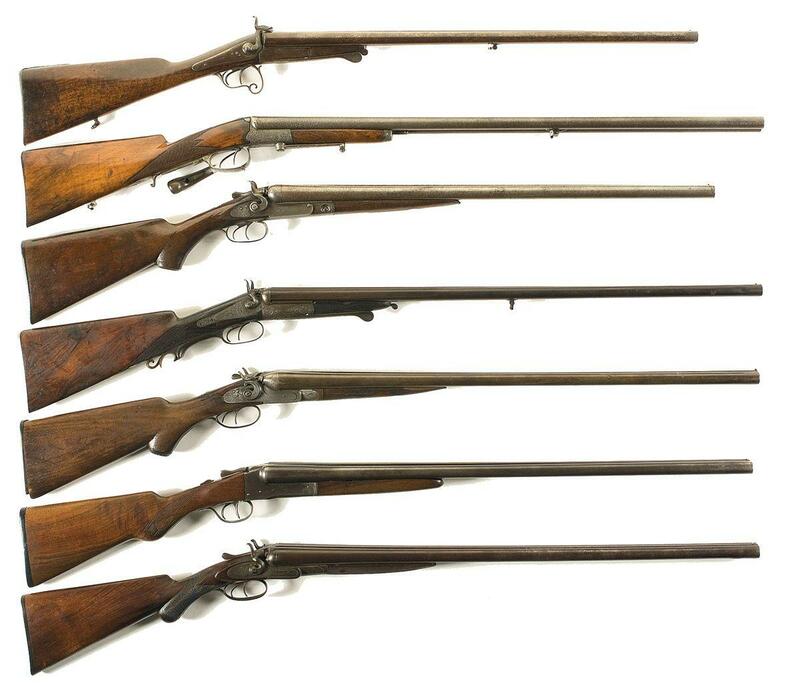 These firearms were inspired by the Henry Repeater Rifles used during the Civil War by certain Union regiments. 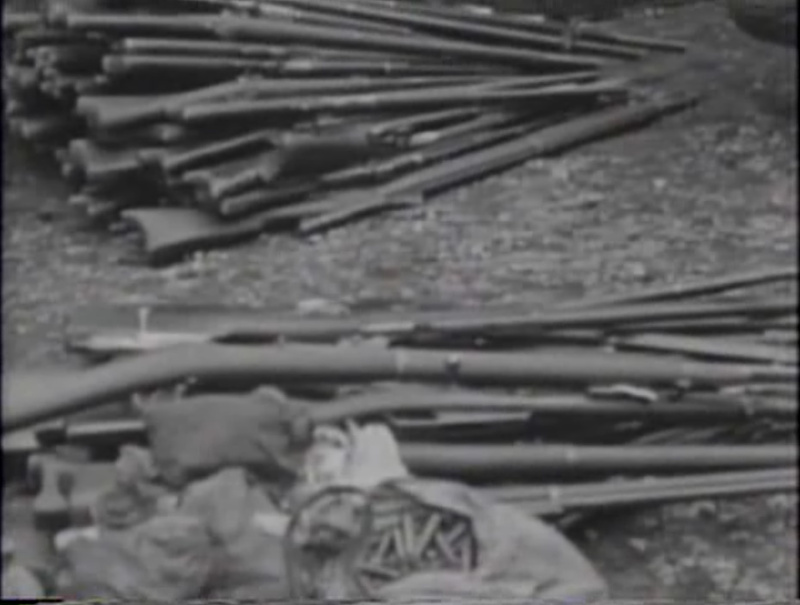 While all of these were in use at Blair Mountain, the M1894 and M1895 were the ones with widest use. The Winchester Model 1894 was the first commercial repeating rifle built to be used with smokeless powder. The 1894 was originally chambered to fire 2 metallic black powder cartridges, the .32-40 Winchester and .38-55 Winchester. 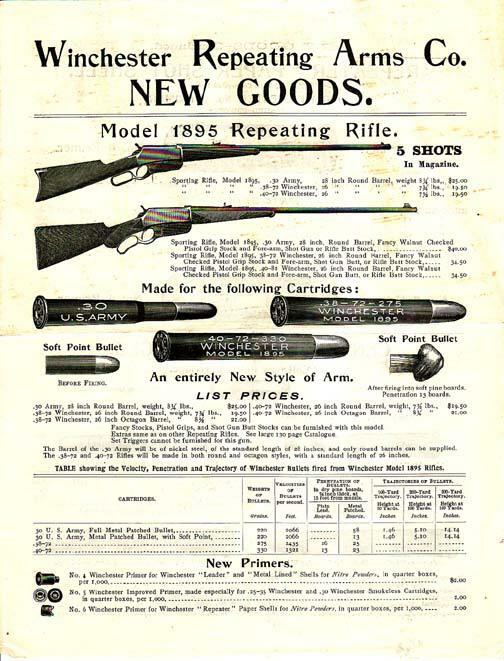 In 1895 Winchester went to a different steel composition for rifle manufacturing that could handle higher pressure rounds and offered the rifle in .25-35 Winchester and .30-30 Winchester. The .30-30 Winchester, or .30WCF (Winchester Centerfire), is the cartridge that has become synonymous with the Model 1894. The Winchester 1894’s design allowed the cycling of longer cartridges than the Winchester 1892 carbines could permit. When the lever is pulled down, it brings the bottom of the receiver with it, opening up more space and allowing a longer cartridge to feed without making the receiver longer. The mechanism is complex but very reliable. Complete stripping of the action is a multi-stage task that must be accomplished in precise sequence. However it is rarely necessary to completely strip the action. The Winchester Model 1895 has the distinction of being the first Winchester lever-action rifle to load from a box magazine instead of a tube under the barrel. This allowed the Model 1895 to be chambered for military cartridges with spitzer (pointed) projectiles, and the rifle was used by the armed forces of a number of nations including the United States, Great Britain, and Imperial Russia. Calibers included .30-40 Krag (.30 US or .30 Army), .303 British, .30-03 Springfield, .30-06 Springfield, 7.62mm Russian, and the mighty .405 Winchester. Teddy Roosevelt used a Model 1895 in .405 on African safari. In 1908 the 1895 Winchester became the first commercially produced sporting rifle chambered in .30-06 (then called “.30 Gov’t 06”). The Vetterlis Rifle was a common surplus military rifle that showed up in the markets of the United States from the early 1900s to the 1950s. The Vetterli rifles were a series of Swiss army service rifles in use from 1869 to circa 1890. They combined the American M1866 Winchester rifle’s tubular magazine and a bolt system derived from the German Dreyse needle gun. They were also the first repeating rifle to feature a self-cocking action and a small caliber. Due to the Swiss Federal Council’s early 1866 decision to equip the army with a breechloading repeating rifle, the Vetterli rifles were at the time of their introduction the most advanced military rifles in Europe. So how do these weapons show up in the United States? Thanks to the historical coincidence of the Swiss need for cash and the insatiable demand of an agrarian and frontier America for cheap guns. They were sold to large mail-order retail companies, who then in turn peddled them to American farmers as a cheap, reliable, well-made utility rifle. Sears bought guns by the ton, literally at scrap-metal prices, and sold them in staggering numbers at prices as low as $7.25.